Transport your essentials in a unique, easy way with the Castagir Baldric. This leather shoulder belt features a hip panel with buckled straps for attaching various items, particularly designed for use with the Castagir Sword Frog. Handcrafted from high-quality leather, this shoulder holster is highly adjustable, with buckles on both sides of its hip panel letting you wear it left- or right-handed. A hidden buckle under the shoulder panel conveniently helps you attach a single spaulder or pauldron to the leather belt. A hidden belt loop on the inside of the hip allows the baldric to be secured down as well when worn. 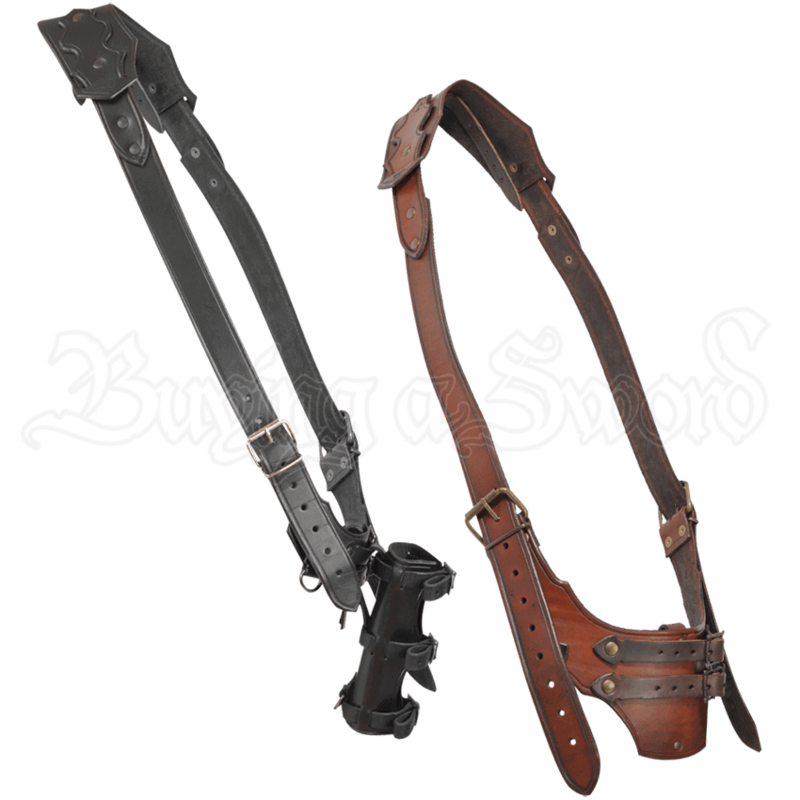 Use the two adjustable buckled straps on the hip panel to secure belt pouches, tankards, and sword holders like the Castagir Sword Frog, sold separately. For adventurers seeking an eye-catching and hands-free way to carry their favorite LARP blade or other medieval era essentials, the Castagir Baldric makes a fine LARP or reenactment accessory. Highly adjustable to fit most frames.